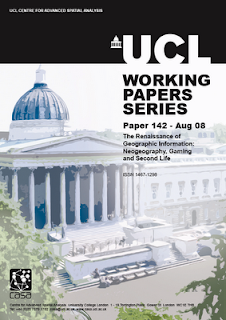 This week I will be attending the RGS-IBG Annual International Conference in London, and giving a paper entitled "The Building Blocks of the City: Points, Lines and Polygons" in a duel session called "Enhancing Complex Social Simulations with Automata Systems" on Thursday, organised by Geographical Information Science Research Group and Quantitative Methods Research Group of the RGS. The abstract for the talk is below, if you are around the conference come and say hello. "The Agent-based modelling (ABM) paradigm is becoming an increasingly used technique to study cities. It allows us to grow social structures ‘in silico’ specifically how a set of micro-specifications are sufficient to generate the macro-phenomena of interest. Until recently many applications of agent-based models exploring urban phenomena have used a regular partition of space (cells) to represent space. While these models have provided valuable insights into urban phenomena especially as they can capture geographic detail, they miss geometric detail. This area is critical to good applications but is barely touched upon in the literature. Geometry (points, lines and polygons), forms the skeleton of cities from streets and buildings, through to parks, rivers, etc. The ability to represent the urban environment as a series of points, lines, and polygons allows for different size features such as houses and roads to be directly incorporated into the modelling process onto which other physical and social attributes can be added. Additionally the inclusion of geometry allows us to make agent-based models more realistic compared to representing the urban environment as a series of discrete regular cells. 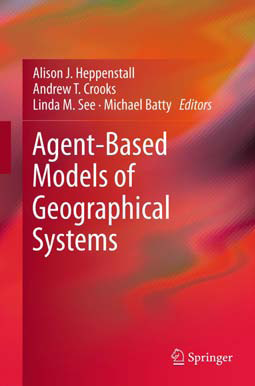 This paper will explore how agent-based models coupled loosely with geographic information systems (GIS) can be created through illustrated examples focusing on residential location. 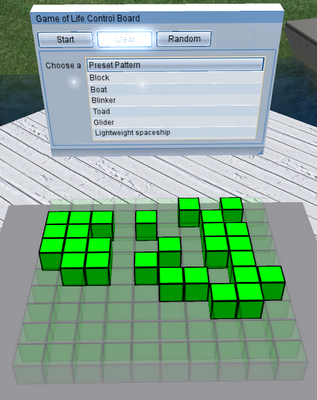 These applications directly consider geometry when building these artificial worlds and running the simulation and highlight how the inclusion of geometry impacts on simulation results. Furthermore problems and challenges with this approach and ABM in general will be identified along with further work." The talk can be downloaded from here (5.8MB). A previous post and a paper related to this talk can be found here. While agent-based models are used for many applications, I just came across an article in New Scientist and found quite interesting. A team of researchers from the University of Cardiff have used agents to mimic the movements of drunken crowds. Specifically how the staggering gait and loss of balance associated with being drunk would affect the behaviour of crowds be it a mix of sober, drunk or somewhere in-between. The model was based on primary data as the team made 24 visits to Cardiff city centre between 11pm and 3am on Friday and Saturday nights, breathalysing people and monitoring their gait and then factoring this information into their simulation. Moore, S. C., Flajšlik, M., Rosin, P. L. & Marshall, D. (in press). A particle model of crowd behavior: Exploring the relationship between alcohol, crowd dynamics and violence. Aggression and Violent Behavior. The pace of development of agent-based toolkits sometimes amazes me. No sooner have I written something and it’s out of date (so ignore some of my earlier posts or at least check the ABM sites). Just a quick note that Repast Simphony 1.1 was released recently and one of its many updates is its option to link with NASA World Wind. 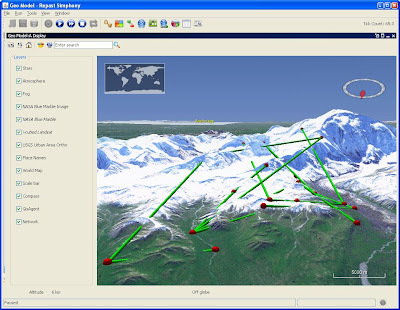 So not only can one have a 3D display but can visualize agents with satellite imagery, elevated terrain, and scientific data sets (as shown in the image below). This is quite important for geo-spatial agent-based models in the form of testing its validity, as Mandelbrot (1983) argues that good models which generate spatial or physical predictions that can be mapped or visualised must ‘look right’. 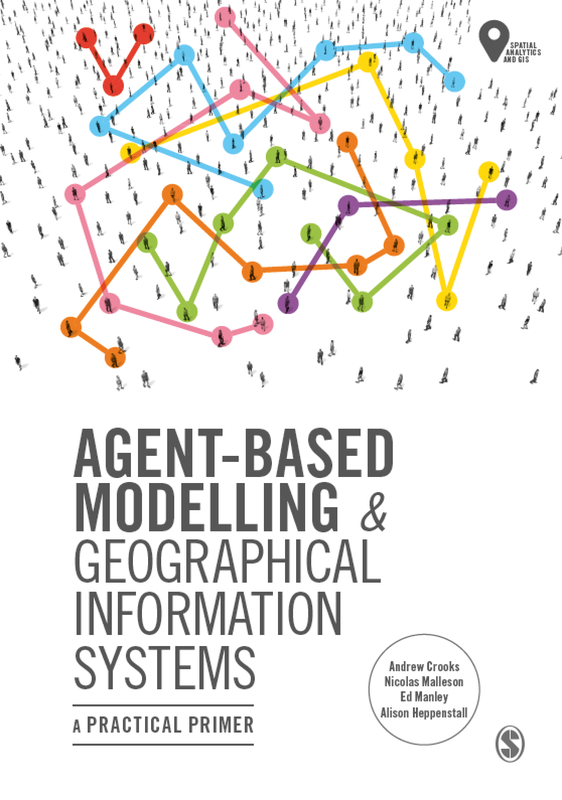 Such visualisation of agent-based models also helps us share (disseminate), communicate and potentially influence people about the model as the model’s spatial outcomes can be mapped to real world places which people can potentially relate to. For a brief tutorial on using RepastS GIS functionally, Nick Malleson from the Agent-Based Crime Simulation blog has recently written an excellent tutorial (and code) showing a small town with a few agents, some houses and some roads. In the model agents choose a random house and then travel there (Click here for a link to his post). In other news, NetLogo (4.0.3) has also been released and has the GIS extension for handling geographic data is now included (formerly it was separate download). “Web 2.0, specifically The Cloud, GeoWeb and Wikitecture are revolutionising the way in which we present, share and analyse geographic data. In this paper we outline and provide working examples a suite of tools which are detailed below, aimed at developing new applications of GIS and related technologies. GeoVUE is one of seven nodes in the National Centre for e-Social Science whose mission it is to develop web-based technologies for the social and geographical sciences. 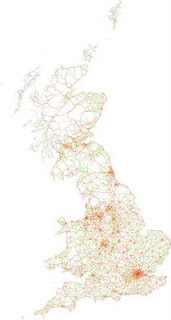 The Node, based at the Centre for Advanced Spatial Analysis, University College London has developed a suite of free software allowing quick and easy visualisation of geographic data in systems such as Google Maps, Google Earth, Crysis and Second Life. 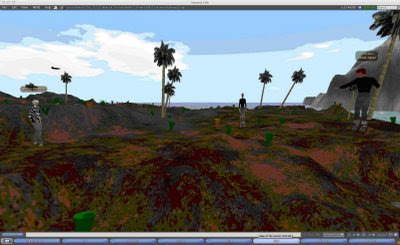 On another note, Andy, myself and another researcher Joel Dearden are also working on some agent-based models in Second Life. While still rough prototypes, they are looking interesting. 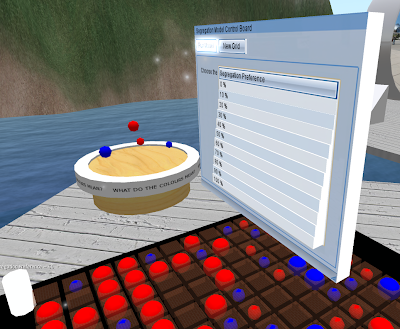 We can create, share, and communicate models in a highly visual (3D) and interactive way. The models are simple “proofs of concept” ranging from the Game of Life, Schelling’s segregation model to a pedestrian evacuation model of a building. 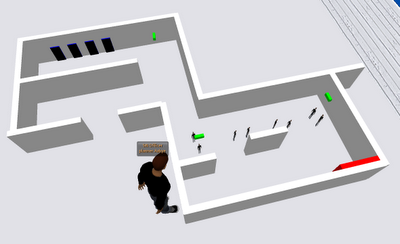 They are just to demonstrate how virtual worlds could be used by agent-based modellers for outreach purposes. Below are a few screen shots of the models to date. We are currently working on a paper and once written we will give away the code of all the models if anyone is interested in doing such research. For more information about Second Life and Andy's work in particular in Second Life see the Digital Urban Blog. 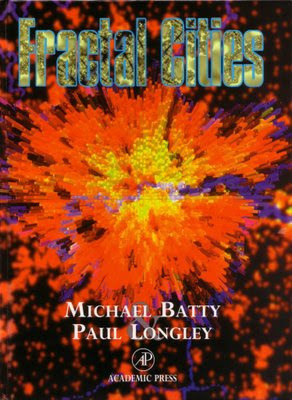 “Fractal Cities: A Geometry of Form and Function” by Professors Mike Batty and Paul Longley is a well written, a must read and often cited book for anyone interested in or writing about fractals, urban modelling and complexity sciences. “The book presents an initial attempt to apply fractal geometry to cities. In fact, we go beyond this and argue that cities are fractal in form, and that much of our pre-existing urban theory is a theory of the fractal city. 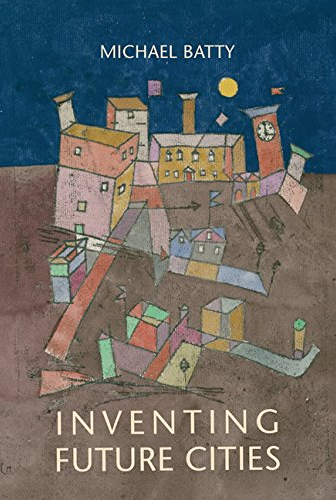 As befits a beginning, this book is very much an introductory statement and, as we argue throughout, these ideas are simply crude snapshots of a much bigger picture which we hope others will steer their research towards. In terms of theory, we show here that the architect's physical determinism concerning the city can be captured and elaborated in terms of fractals while the geographer's concern for the economic theory of location is entirely consistent with the use of fractal ideas. We live in an era when physical determinism is still disreputable as architects and city planners seek to minimize the impact of designs which manifestly interfere with the social and economic fabric of cities in countless unanticipated and undesirable ways. But physical form does determine the quality of life in cities.